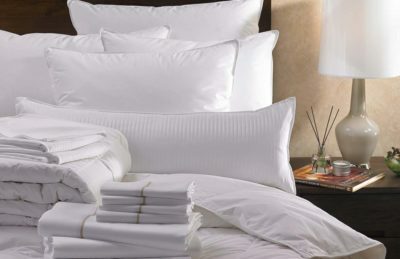 If you are a hotel or resort looking for some one to process your linens located in BC, we can help save you money! Every day service is where we shine, we are below $5 per room depending on linen weight and annual volume. Fabriclean will take personal care of your linen and complete stain removal and separate out damaged linen, reliably on a daily basis. That is what we are great at. I have yet to see a OPL get near these costs. Try out our price calculator put your own numbers in, have some fun. In the end there are some serious savings to consider. One week free laundry processing at contract startup. Two weeks free laundry processing at contract startup. Three weeks free laundry processing at contract startup. Four weeks free laundry processing at contract startup. We can provide high quality processed table linen along with your facility as often as needed. We are flexible, have a special event planned needing extra linen, no problem we can accommodate this. All that is required form the hotel is a freight storage area that our driver can move laundry bins in and out. If you have further questions send us an e-mail, we can save you money and head aches. We can have laundry bins in place the same day. Preferably we like to have the agreements in place in a few days. Is this just saving me money? The service value is best analysed over a year. The service is priced based on annual contract or seasonal and size. On average it cost 4.80 per room depending on linen weight. Your facility will save money. We provide extra laundry bins stationed at you facility for dirty linen to be placed in. Every day our driver will pick up and drop off at a scheduled time. Clean product will be folded packaged and labled, and returned in laundry bins. Driver picks up dirty laundry to be returned the next day. Invoicing is every thirty days, a packing slip will be included with every delivery. Daily service requires (PAR) inventory. We recommend 3.5 in your key pieces 2.5 in the less used inventory. Do not have enough inventory, we can rent it too you, or finance your own branded type. Every day service, we can process an 80 room hotel in under 2 hours. It is our requirement to reliably meet your delivery time.